Alley Bar, Peranakan Place, Orchard Road is celebrating its 10th anniversary with a spectacular party and YOU are invited!! 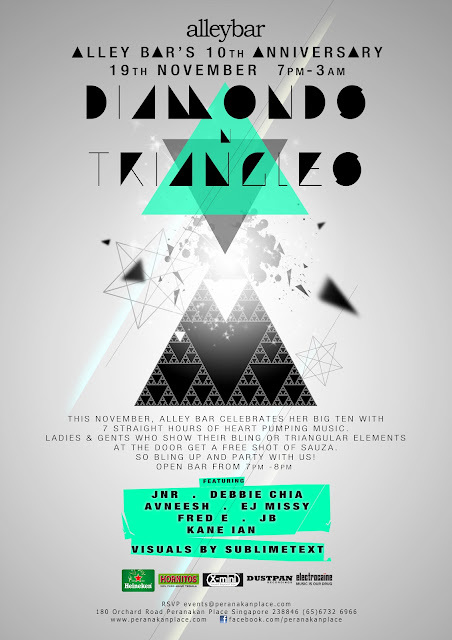 As you can see from the attached flyer there will be a host of DJ's playing to help you party the night away. 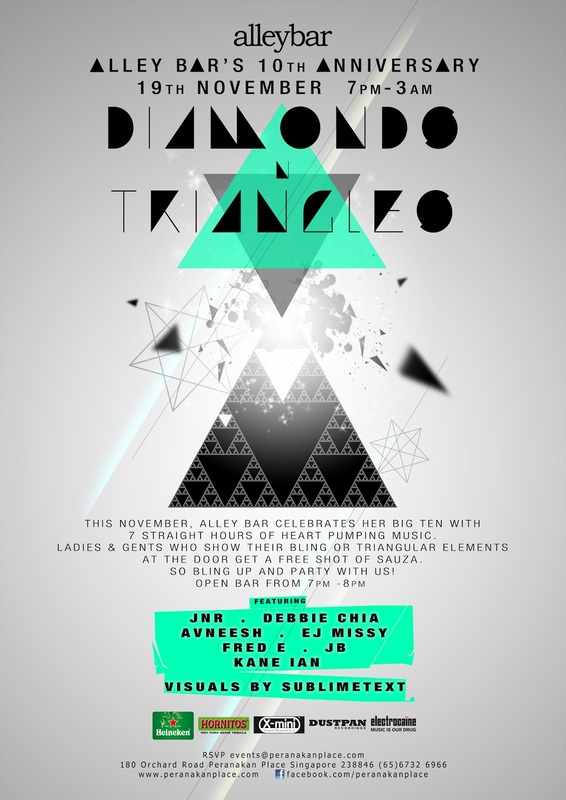 Take note ladies and gentlemen if you 'bling up' or show your 'triangular elements' at the door you'll get a free shot of Sauza. So what are you waiting for??? Get yourself glammed up and head down there this Saturday, 19 November! !